Despite casting efforts being kept under wraps using the code name “Red Cup,” a veritable hive of actorly scum and villainy have been unearthed for the part. 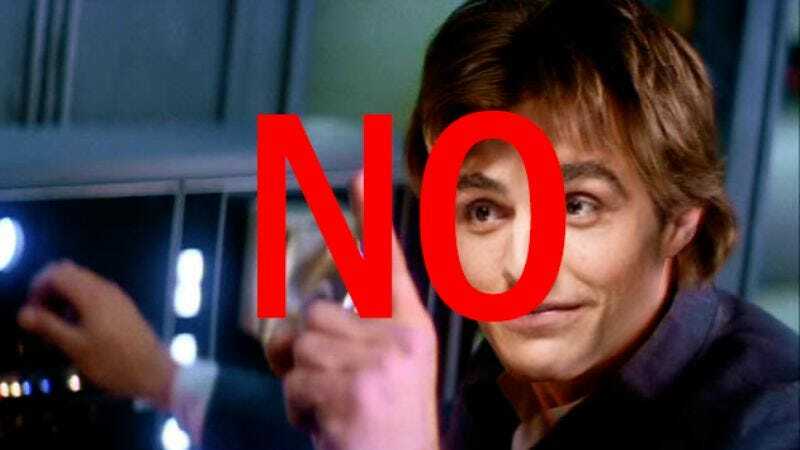 Established industry nerf-herders who have read for the role include Dave Franco, Aaron Taylor-Johnson, and Miles Teller. Lesser-known scoundrels trying out for the black vest include Jurassic World‘s Nick Robinson, The Walking Dead’s Chandler Riggs, Mr. Robot’s Rami Malek, Fury’s Logan Lerman, and Bates Motel’s Max Thieriot. Of course, these are only the actors we’ve heard about, which hardly gets us close to the rumored number. All of which means that the Star Wars Anthology: Han Solo: Special Edition Blu-ray could potentially include table reads with Chris Pratt, Dane Cook, Christopher Mintz-Plasse, Justin Theroux, Ryan Reynolds, Taran Killam, Robert Downey Jr., and Lady Gaga all vying to play the young smuggler who snookered the Millennium Falcon away from Lando Calrissian. Phil Lord and Chris Miller’s standalone Han Solo movie doesn’t even begin production until 2017, so they have plenty of time to audition several thousand more young actors until they find somebody who approximates the screen presence of the relatively unknown carpenter and part-time actor who originally played the part. The good news is that with the sheer number of auditions, the odds of Shia LaBoeuf getting the part are literally becoming 3,720 to 1.